World seems to be changing around us but still we do have to travel a pretty long distance when it comes to choosing our life partner in our society. 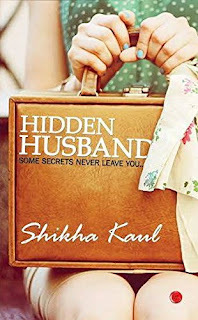 On the same plot runs the story of Hidden Husband. A ‘legitimate’ marriage of a couple but still hidden from the society. The story revolves round Aisha’s love life with Raghav. After finishing the novel you did feel bad for them but author played a great trick at the end. She left the story on a pretty good point which will surely leave a smile on your face. 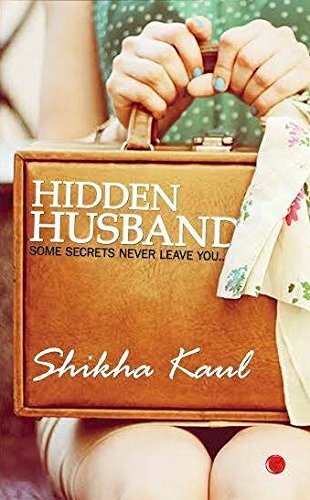 Shikha Kaul has written the story in very simple language and the narration of the story is pretty commendable, keeping this at mind that the author is debuting with this novel. There are few points in books which actually make the reader clinch the book tightly and eyebrows rise up automatically. I would surely recommend this book to everyone who wants to read good literature and a refreshing story. I loved the characterization of all the character but especially Aisha because it was easy to connect with her. I will rate this book 4/5. Aisha is trapped in her own secret which makes her life hell. Will she manage to come out of this quandary or must she continue to live in her self-created web? Explore her journey that makes her realise the atrocities being committed on women in the Indian society and the tough decisions she must take, keeping her most loved ones oblivious to everything happening in her life.